This is a story that will make you think. After reading it, just think of how you would have handled it. I will preface this story by letting you know that I am a non alcoholic drinker, so my perspective is quite different when it comes to situations like this. I was in a very nice bar/ restaurant in NYC with a friend of mine and her good friend. We sat at the bar and I ordered a nice fruity non alcoholic drink. My friend then ordered a Ketel One martini dry, I believe. I cannot remember what the other woman ordered. She was a sweet woman, however, it's my friend that we will concentrate on for this little adventure. I will give this to you straight. My friend was not really into the bartender. She felt that he did not greet us properly or get to us promptly either. 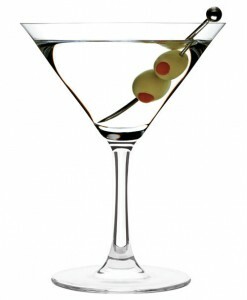 After ordering the martini, she immediately said that it did not taste like Ketel One. So I urged her to say something, but she chose not to. I felt that she was paying for it so she had the right to have exactly what she wanted. We spoke about it and she explained how bars are notorious for changing alcohol from premium to low scale equivalents. I agreed that this could happen, however, I felt that it was rare. She made a choice to not challenge the drink and she also made a decision to never return to this place again. I felt that she forfeited her right to have what she wanted and then she closed down the possibility of ever having a great experience again at this gorgeous location. The reason that I have written about this interaction is that I want to drive home the fact that we are only guided by our own paradigms. She does not have to return to that place and she is not a bad person because of it. She made a choice based on her own internal signals and her own story about what happened. I saw the same situation in a completely different light and I was content with my perspective as well. I believe that we should get what we pay for and if we do not receive it, we have the right to challenge it. She felt that it would have created an argument or an uncomfortable moment to have asked him if in fact he did put the proper kind of alcohol in her drink. We never really know how we are being accepted or judged by another human being on any given day. That bartender will probably never hear this story, so we will never know what he really put in that glass. In life when we think that we know what other people are thinking or feeling, most of the times we do not. When we assume that we are making the right decision for ourselves or for others, many times we are not. It can be very random and also very subject to the circumstances at hand. Service is an extremely sensitive profession with many variations. If you have ever been in the presence of an exceptional server, you can bring up the experience in your mind in seconds. It all started because he did not form the proper relationship with her right away, in my opinion. The magic in this post is that we all have the power of choice. On the other hand, our gut reactions also stem from our own view through our own kaleidoscope. You can never borrow someone else's perspective until you are ready to walk a mile in their shoes. If you walk their walk, then you can talk their talk. This story can be likened to relationships in my mind. If you are not getting what you want in your current relationship, will you put up with it or say something? I digress, but you get my point. By the way, she also claimed that the bartender was only concentrating on me and not the women, which was not really what was happened. However, that is what she saw, so I had to respect it. In the immortal words of Bob Marley, "Get up stand up, stand up for your rights.